Ear, Nose, Throat & Sinus Specialists - Dr. Edgar Lueg, Ventura, CA - How Does Balloon Sinuplasty Work? 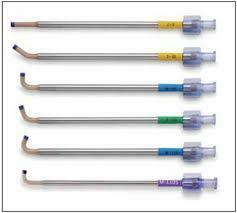 Balloon Sinuplasty is a procedure, which can be done in the operating room under General Anesthesia. However, it is increasingly being done in the doctor’s office using only a nasal spray to numb up the inside of your nose. Sinuplasty is the technical word for “reshaping the sinus”. Actually only the sinus opening (or “sinus ostium”) between your sinus and the inside of your nose (or “Nasal Cavity”) is reshaped by dilating it open. This is why the procedure is sometimes referred to as “Balloon Sinus Ostial Dilation”. Usually the sinus surgeon will use a balloon that is less than 2 mm wide when it is deflated. When it is fully blown up it becomes 7 mm wide. The balloon blows up very hard - up to 4 times the pressure of the air in your tires. But instead of air the balloon is inflated with sterile salt water. It works by gently spreading open the bony opening of the sinus. Once it is open the balloon is deflated and because the sinus opening is made of bone it will stay open. With my technique I spray a decongestant (an over the counter spray called Afrin or Oxymetazoline) combined with a 2% concentration of Tetracaine (an anesthetic frequently used by dentists) into both sides of your nose. I then wait a few minutes to allow your nose to decongest and then I place two soft pledgets (medical like cloth sponges) moistened with 6% Tetracaine. These are left for 20 minutes while you relax and read or listen to music. I will then use a special surgical instrument called a “Freer Tissue Elevator” to gently open up the area in your nose where your sinuses drain into called your “middle meatus” or middle opening. Once this is done two more soft pledgets moistened with 6% Tetracaine are then placed again using our endoscope and high definition monitor into this space for another 5 minutes. After our usual topical anesthesia protocol is done I will gently test the areas where we will be dilating your sinus openings to ensure that your do not feel any pain or significant discomfort. If there still is some sensation to the area further application of local anesthesia is very occasionally required. Once the inside of your nose is all numbed up I will place the frontal balloon catheter into the area of your left nose where it opens and very gently threat a very fine flexible metal wire with a little light bulb at the end. Once I am able to threat the catheter all the way up into your sinus I will see the light under the skin of your forehead on the left which ensures that I am in your sinus. 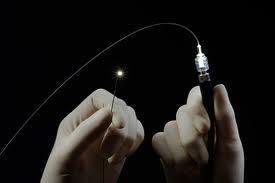 I will then very gently push the balloon over this wire which guides it right into your sinus. Once the balloon is positioned along the whole course of the tract that goes to your sinus the balloon is dilated with sterile sale to 12 atmospheres pressure (12 times the pressure of the air around us!!!) and held for a few seconds. Sometimes you will hear some crackling as the bone is dilated during this time which is normal. I will then deflate the balloon completely and withdraw it from your sinus opening and then out of your nose. This whole process usually takes about 3-5 minutes for each sinus. This procedure is then repeated for however many sinuses are symptomatic for you. There are up to 6 sinuses (2 Forehead or Frontal Sinuses, 2 Cheek or Maxillary Sinuses, and 2 behind the nose or Sphenoid Sinuses) which can be dilated depending on your symptoms and findings from imaging like a Sinus CT.
Studies have shown that this technology is very safe and very effective in opening the sinuses and staying open over time. Please also view the video of Balloon Sinuplasty and Patient Testimonials on our Website Home Page and Balloon Sinuplasty Page!